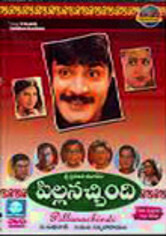 When petty thief Ramakrishna (Srikanth) seeks refuge in the village of Kotayya after a botched con, he decides to masquerade as the long-lost grandson of the village's philosopher founder -- thus inheriting the man's property. But trouble comes in the form of a beautiful investigative reporter, who quickly recognizes him as an imposter -- and with whom Ramakrishna falls in love. Now, he must make himself worthy of her affection.